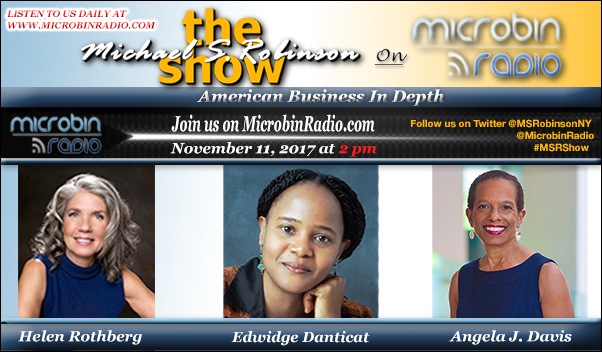 Michael Robinson sits down and talks with three women authors as they talk about their latest books and share perspectives on business, purpose, social dysfunction and dealing with death. Prof. Helen Rothberg talks about how working as a bartender prepared her for dealing with the business world and the boardroom. Edwidge Danticut talks about how she dealt with the death of her parents and shares her perspective on how different writers deal with death in their writings. Prof. Angela Davis talks about the black men and boys are treated by the police and the criminal justice system. ← Are We Stuck in Bad News Hell?